(Reuters) - Ousted Nissan Motor Co <7201.T> Chairman Carlos Ghosn on Sunday promised to remain in Japan and follow restrictions in exchange for his release from jail in the latest effort to persuade a court to grant him bail while he awaits trial on charges of financial misconduct. Ghosn, the veteran automotive executive detained since his arrest on Nov. 19, has asked a Tokyo District Court for the second time to grant him bail after a request last week was denied. A hearing is scheduled for Monday evening in Tokyo. "I remain imprisoned in the detention centre, 64 days after I was arrested, with no release in sight," Ghosn said in a statement on Sunday. "As the Court considers my bail application, I want to emphasise that I will reside in Japan and respect any and all bail conditions the Court concludes are warranted." The Tokyo court last week denied his bail application, citing concerns that he was a flight risk, an assertion the once-feted executive disputes. The Japanese government could not be reached immediately for comment and a Nissan representative had no immediate comment. If granted bail, Ghosn said he would remain in a Tokyo apartment and wear a tracking device to monitor his whereabouts, according to a person familiar with the matter. Ghosn would also pay for private security guards to watch him, report daily to Japanese prosecutors and refrain from speaking to individuals who might be witnesses in his case, the person said. Ghosn hasn't spoken to his family since being detained, the person said. 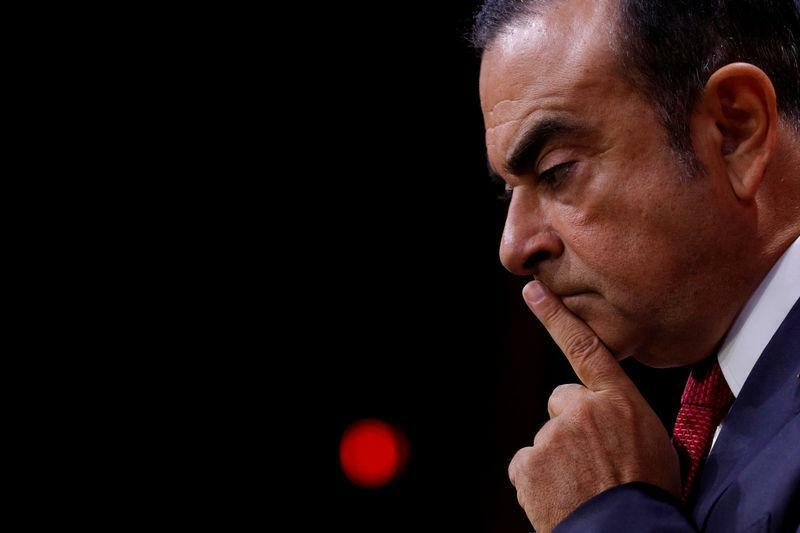 Ghosn spearheaded Nissan's turnaround two decades ago, and the case has jolted the auto industry, while muddying the outlook for Nissan's three-way alliance with France's Renault SA (RENA.PA) and Mitsubishi Motors Corp (7211.T). Meanwhile, a panel made up of Nissan external directors and third-party members held a briefing on Sunday after its first meeting to recommend ways to tighten lax governance and approval processes for matters including director compensation and chairman selection. "Having read the report on the internal investigation, my initial impression was that the head of the company may have had questionable ethical standards," committee co-chair Seiichiro Nishioka told the briefing.